Still Here After All These Years! Yep, we're still here after all these years! This is my twenty-first year in elementary school. For twenty-one consecutive years I have carried in cup-cakes, enclosed checks, and provided emergency phone numbers. I have staple-gunned and I have hot-glued. I have rented band instruments. I have given standing ovations, volunteered at the school library, and stood in the cafeteria line as the servers dropped balls of Thanksgiving-flavored foods from ice-scream scoops onto my wet tray. My husband and I have clapped with pride at a child's graduation in May and returned in August with a different child for Registration Day in the "cafetorium." Where else can you find a deal like a PTA membership? For five dollars, you're in, and urged to accept the presidency! Where else are adults so thrilled to see your children? "Did you have a great summer!?" cry the beaming teachers, and your child shyly leans into your side and confesses that yes, it was a great one. The friends with whom we raised our oldest three (now in their twenties) are enjoying their empty nest years. They have warm memories of long-ago kindergarteners dressed as puppies, swinging their arms and dancing on stage in winter musicals. They recall the night the fourth-grade band attacked "Au Clair de La Lune" with shiny cheap instruments for the first time, honking and bleating like a pen of panicked farm animals. They remember the gift-wrap sale and the Fun Run. For them, as for most of our generation (we're in our fifties), it happened a long time ago. My husband Don Samuel, a hefty, grey-bearded criminal defense attorney, and I have lingered here longer than most. 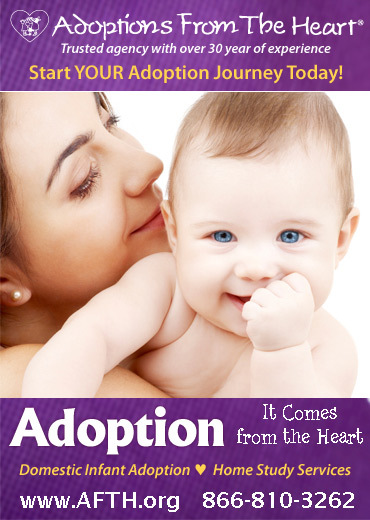 We pushed beyond our biologically-reproductive years into adoption. To our children by birth: Molly, Seth, Lee, and Lily (born in 1981, ‘84, ‘88, ‘92), we added five school-age children, four from Ethiopia and one from Bulgaria: Fisseha, Daniel, Jesse, Helen, and Yosef (born in ‘94, ‘94, ‘95, ‘96, ‘97). While the parents our age graduated, Donny and I, like the big dim-witted students of yore, hunched over small desks at the rear of the classroom, have been held back, forced to repeat grades with people a lot younger. There is a gravitational pull around a grade school in autumn. Donny and I have not yet broken free of the annual rotation. Like outmoded satellites we still circle, rattling in close again each rusty fall. For us, wrapping paper is available right now; the Fun Run is coming up; and last night I fitted Yosef in my satin quilted vest and my widest belt to make him into a courtier for the school musical, Cinderella. All this lends a knowledgeable perspective. For example: I can state with some confidence that the school musicals repeat once every five years. Because this is our fourth Cinderella. And only one of our nine children ever got a speaking part. At the start of the adoptions, when the presence of Bulgarian Romani and Ethiopian children still felt a little surprising, Donny referred to their end of the upstairs hall as "the international concourse." If one child was complaining and another one piped up, Donny said: "Oh, great. Another country heard from." 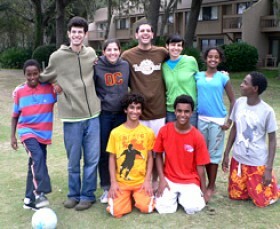 In July 2007, the eleven of us flew on a plane together for the first time (because two Ethiopian brothers, Daniel and Yosef, 13 and 10, had joined the family two weeks earlier). At the Delta check-in desk, eight minutes into our first public appearance, a stranger approached and said, "Excuse me? Miss? I think one of your students dropped a mitten." Mitten? I thought. In July in Atlanta? Later it hit me: One of your students. In-flight, a middle-aged African-American businessman leaned across the aisle to ask our son Lee, "What’s the name of your organization?" Lee said, "Um . . . the Greene-Samuel family?" Disembarking from the plane, the businessman tapped Donny on the shoulder and said, "I’d like to shake your hand." At baggage claim in Santa Fe, a frail elderly white couple from our flight made their way towards me on walkers. "May we ask you a question?" said the old woman in a quavering voice. "Are you a scout leader? Because we were always very involved in scouting." This book is the story of the creation of a family. It began in the usual way: a woman, a man, some babies. But then it took off in a modern direction, roping in a few older children from far-distant countries. In retrospect I see that Donny and I have steered by the light of what brings us joy, what makes us laugh, and what feels right and true. Those instincts have served us well. The journey has not always been easy. Sometimes, I wondered if we'd taken on too much weight, if we were at risk of capsizing. In shaky times, I've thought, Did we do a wrong thing? Did we take on too many? Are we at risk of capsizing? What do the experts say? But we and the children all seem to be thriving. Each arrival a surprise and a miracle; each child, whether home-made or foreign-born, a revelation, a treasure. It seems we were right to trust love, laughter, and happiness. The older four joined the family at conception and birth, while the younger five arrived at older ages and not in birth-order: Jesse at four-and-a-half in 1999; Helen (a year younger than Jesse) at five-and-a-half in 2002; Fisseha (a year older than Jesse) at age ten in 2004; Daniel and Yosef at thirteen and ten (a year older and two years younger than Jesse) in 2007. This book is about the joy of living with these children: learning to ride the wake of wrong turns, near-collisions, stalls, rivalries, and self-doubts without despairing or ever giving up on a child; and about the thrill of hanging on for the ride when first one, then another, then another happens upon the spark of something great that may give shape and meaning to the rest of his or her life. With us, the bonds of love and commitment coexist with the bonds of DNA; and middle-aged parents and young adult children step foot into a backyard Neverland of ongoing childhood. Everyone wants a happy family, but some parents fear they don't have the knack for it. We tilt anxiously above our children, examining them from every angle, consulting experts, and reading how-to books about increasing their popularity and enhancing their odds of getting into the expensive university of their choice. We're afraid to steer by the light of what makes us laugh, of what makes us feel good. Yet most of today's adults grew up happily enough while our parents were otherwise engaged. Concerned with work and mortgages, our mothers and fathers didn't know the word "parenting," didn't give a damn if we had "self-esteem," and didn't regard us, their offspring, as their most important achievements. They mainly wanted a little peace and quiet. Like many modern parents, I have invested a lot of energy in non-emergencies over the years; I tried to fix problems when it was a child's right to try to set things straight by himself or herself. I dashed onto the field when I should have stood on the sidelines. I over-empathized with transient disappointments when I should have invoked the big picture, the bright future. I validated when I should have pooh-poohed. For example, when Seth was seven, he woke me one night by suddenly appearing at my bedside, wide-eyed and pale. "What if I’m buried alive?" he whispered. I should have asked: "What on earth were you reading last night?" I should have said: "Don’t be ridiculous. Go back to bed"
I might have said: "If you ever wake me up again with anything this moronic, you’re grounded." Instead, ever the empathetic mother, I propped myself on one elbow and, thinking of Edgar Allen Poe, nodded and sagely replied, "That’s a very important consideration. Some very famous writers have wrestled with that issue." When I looked back at Seth by the light of the digital numbers on my clock radio, the look on his face was now that of the character in the Eduard Munch painting, "The Scream." Many nights over the next few weeks he startled me awake at a god-awful hour to elaborate upon his concerns, while I groggily invented, and swore to install, safeguards, including an in-casket walkie-talkie, an underground TV camera, an all-glass casket, and an "Eject!" button. Donny was out of town for a trial and Seth was wearing me out. As I heard him creep down the hall towards me one night, I sensed that my empathy had ended. He leaned over in the dark, to make sure I was awake, and then whispered: "What if the dirt they shovel onto the coffin clogs up the walkie-talkie?" That was it. No more attachment-parenting nurturing mothering murmurs were coming from THIS mother, not at this hour of the night. It was time to react more like my father. "FOR THE LOVE OF GOD!" I shrieked, "Can’t you ever have a HAPPY thought?!!" Startled, my skinny curly-topped little boy turned and trotted away confusedly. He returned a few minutes later with a trembling smile. "I had a happy thought," he timidly offered. "Why would anyone want to bury me alive? I'm just a little kid." And that was the end of it. Like many modern parents, I've helped too much with homework. I've engaged with science fair projects as if they were assigned to me. "Oh no, another science fair project??" I groan when the teacher’s memo comes home, glancing at my calendar to see when I'll have time to get it done. "Summarize Montesquieu’s critique of Louis XIV." "Which aspects of the English political regime appealed to Voltaire?" "Discuss Voltaire’s characterization of the mercantile character of English society vs. the feudal character of French society." I sat up well into the night, working on my answers and fielding calls from Lee's friends. "Hi, Josh," I said, picking up the phone around 11:30. "No, Lee’s asleep. But what did you get for, 'How does Montesquieu show that self-interest can overawe justice in human affairs?'" A few days later, Lee came running down the hill from school waving his graded homework. "Mom!" he yelled from the stop sign across the street. "You got a 74!" And I have worried too much, sometimes about the right things and sometimes about stupid things. When Seth was 16, there was a party, a bad party, the kind of party you remember fondly from your youth and begin to dread the moment your first baby is born: parents out of town, under-age drinking, pot-smoking, music blasting, drunk boys hooting at passing cars, and neighbors calling the police. The scandal swept the 10th grade. Seth missed it. He had been upstairs in his room that Saturday night, reading science fiction and playing trombone. As the news of the party tore through the high school community, I, like all the tenth-grade parents, felt very concerned. I wanted to get to the bottom of it. I didn't want to get to the bottom of why these young people were already experimenting with substance abuse. I wanted to get to the bottom of why, while young men of his generation courted arrest, my child was upstairs reading. "So, did you hear the police came to Scott's party Saturday night?" I asked. "Yeah, well, that was obvious. I knew that would happen. That's why I didn't go" he said. "You were invited?" I asked happily, my chief concern laid to rest. Donny and I feel most alive, most thickly in the cumbersome richness of life, with children underfoot. The things we like to do, we would just as soon do with children. Is travel really worth undertaking if it involves fewer than two taxis to the airport, three airport luggage carts with children riding and waving on top of them, a rental van and a hall's length of motel rooms? Can sleep be as sweet as when it is wrested from those who would interrupt it? I love the Atlanta Symphony, but it's a sixth-grade band that moves me to tears when the children play the C-scale together for the first time. Of course we have careers, friends, functions to attend, holiday parties to dress up for. But, by the mid-1980s, we noticed that our favorite part of social events was dressing up for them while small children bounded in and out of the room in excitement. I remembered, from childhood, the sense of anticipation kindled by shower steam wafting into the parents' bedroom at night, mixing with the golden scent of aftershave and the astringent odor of black shoe polish, while a mother sits on the bed in satin under-things pulling on sheer stockings, and the father requires a small girl's help to insert his gold cufflinks. Compared to this build-up, this breathless anticipation of the exclusive and bejeweled affair the children think we're going to, the actual party feels a little anticlimactic. When we reach our destination, at the summit of the long brick walkway across an expensively-maintained green lawn, and the massive door opens to us, and we're swept into the champagne-colored candle-lit rooms, no one gasps: "You both look so beautiful!" We circulate, chuckle with friends, nibble canapés, remember a funny thing that happened years ago, and return home before the children are all asleep so we can be greeted like global celebrities. The children peek down from the top of the stairs. "Are they really home?? Is it really them?" and then slide and leap into our arms while I remove from my purse the chocolate meringue puffs and key-lime shortbread cookies I've wrapped in cocktail napkins and smuggled out of the party for them. Donny and I loved these times and wanted them to continue. When the clock started to run down on the home team, we brought in ringers. We figured out how to stay in the game.